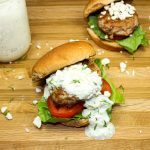 Ranch Turkey Burger are pre-made lean turkey burgers topped ranch are perfect for a quick & easy to make dinner. Delicious & healthy! Weight Watchers friendly-8 SmartPoints! My husband and I have been on a huge burger kick lately. I love to make burgers at home, especially flavorful burgers that you wouldn’t even know are healthy! My Ranch Turkey Burger is packed with all the flavors of ranch dip made into a healthy, guilt-free burger. 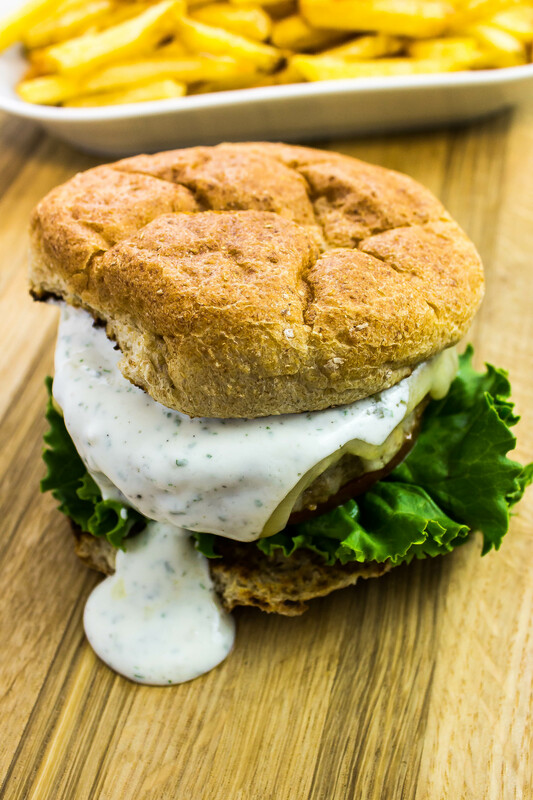 Pre-made lean turkey burgers topped ranch sauce are perfect for a quick and easy to make dinner. 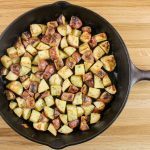 This is a Weight Watchers friendly recipe and each serving is 8 SmartPoints. There’s something great about making your own burgers at home. You are able to customize the burger to exactly what you are craving and cook it just the way you like. Most of the time when I’m craving a burger, it’s usually a veggie burger or a turkey burger. Don’t get me wrong, sometimes I crave a big beefy burger, I tend to save those cravings for special occasions when I’m wanting to splurge. 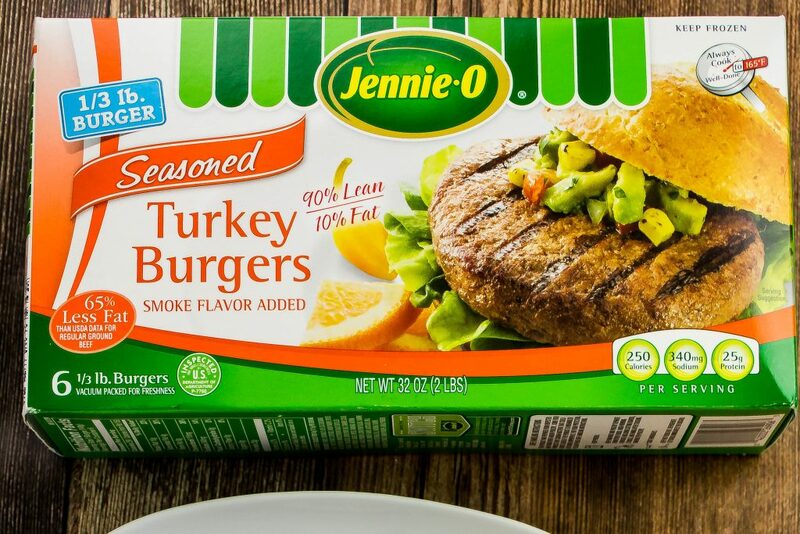 I recently discovered some amazing frozen turkey burgers from Jennie-O. These burgers are already pre-made so I don’t have to do any of the dirty work of mixing raw ground meat in a bowl with other seasonings. What’s even better about these burgers is they are packed with smoky, meaty flavor. You wouldn’t even know that they are “healthy”. The burger patties by themselves are only 6 Weight Watchers SmartPoints!!! These burgers are packaged individually so I can easy pull out one burger patty and make it real quick for lunch or dinner for one. They cook in a jiffy and are the perfect canvas for an amazing burger. I could eat these Jennie-O burgers alone and be super satisfied! These burgers have a touch of smoky flavor already to them so they are great plain… eat them with a burger bun, wrapped in lettuce, or just the patty. A while back, I was craving ranch dip and thought how great ranch would taste on a burger. I mean, ranch taste delicious with pretty much anything… am I right?! 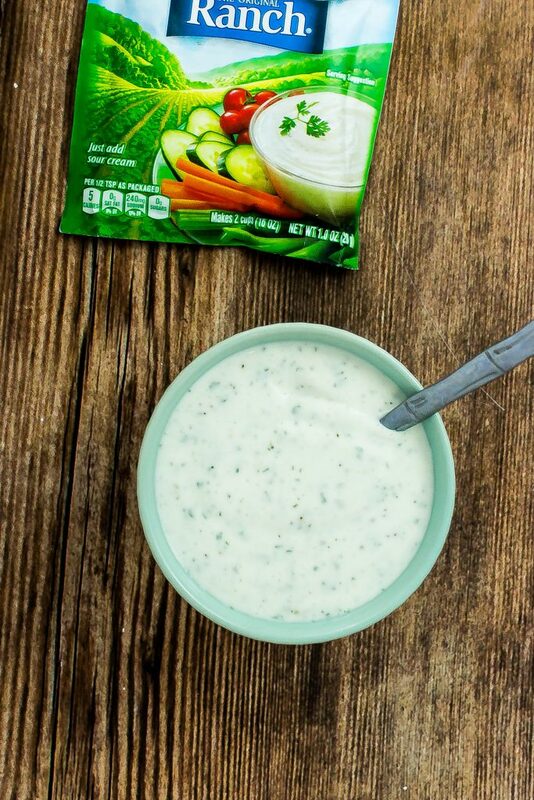 I like the dry ranch seasoning packets because you can add lower fat ingredients to make the ranch dip less fattening without compromising the flavor. The ranch sauce I make for these turkey burgers calls for fat free plain Greek yogurt and reduced fat mayonnaise with olive oil. I like to add the mayo to give the sauce a little bit of a tangy flavor. I also add a touch of water to help thin out the dip so that’s more of a sauce for the burger. Grill up a bunch of these burgers to have on hand for a quick lunch or dinner throughout the week! Since the burgers are pre-made, they take little to no time to cook! Heat a grill pan over medium high heat and brush the pan with a touch of olive oil. Heat the pan for about 5 minutes. Add a pinch of the dry ranch seasoning to each side of the turkey burgers. Grill the burgers in the grill pan for 6-7 minutes on each side until the burgers are fully cooked. I like to add aged white cheddar cheese, a slice of tomato, and romaine lettuce to my burgers. You can customize the burger topping to whatever you like!! That’s the beauty of this recipe… add whatever toppings you crave to make it your own. Once you have all the toppings of your choosing, drizzle about 1 tablespoon of the ranch sauce on top of the burger patty and devour! The burger patty is delicious by itself, but adding the ranch sauce makes the burger even more flavorful. Just looking at the pictures is making me drool a little bit. 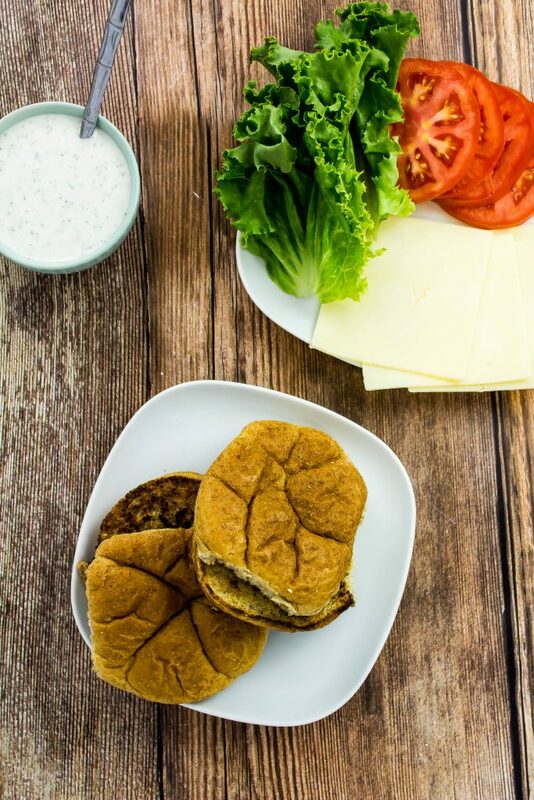 Ranch Turkey Burger is packed with all the flavors of ranch dip made into a healthy, guilt-free burger! 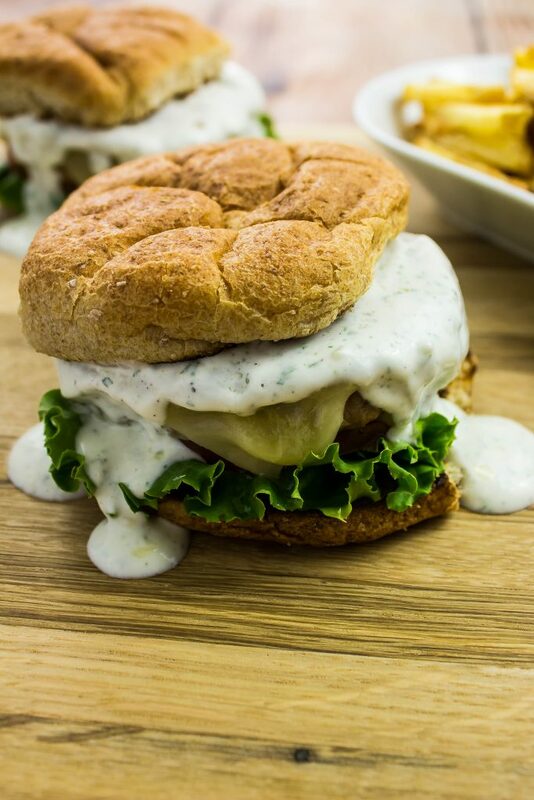 Pre-made lean turkey burgers topped ranch sauce are perfect for a quick and easy to make dinner. These Jennie-O pre-made turkey burger patties cook up in a jiffy and are full of smoky, meaty flavor. Each burger is 8 Weight Watchers SmartPoints. Skip the bun for an even more guilt-free burger. Mix Ranch sauce ingredients and refrigerate for at least 30 minutes. 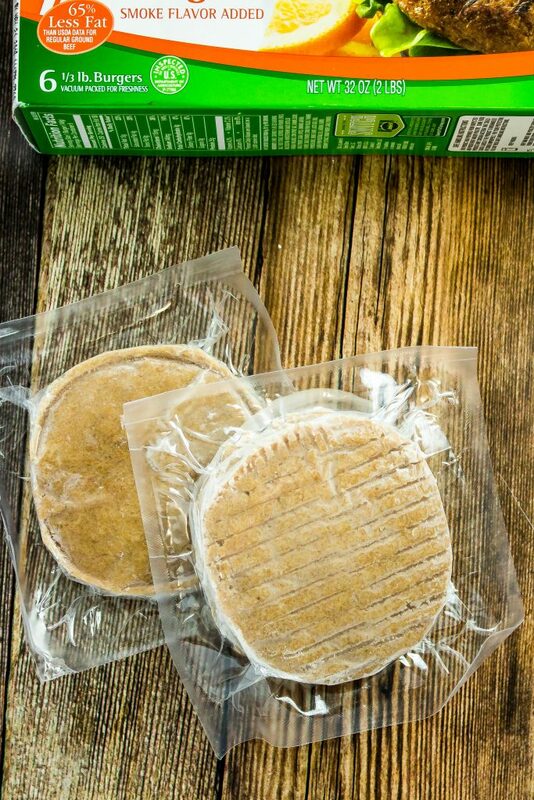 Remove burgers from freezer and remove packaging. Set aside. Brush indoor grill pan with olive oil heat over medium high heat for 5 minutes. Season both sides of patty with a pinch of dry ranch seasoning mix. Cook turkey burger on each side for 7 minutes. Top with cheese to melt. To assemble burger, on bottom bun lay romaine lettuce and tomato, top with burger patty, and drizzle with 1 tablespoon ranch dip. 6 Weight Watchers SmartPoints per burger without the bun!! 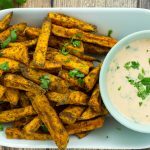 July 11, 2017 at 9:06 pm These look so good! I love turkey burgers. July 12, 2017 at 2:12 pm Um, why have I never thought of this?! I have Jenn-O in the freezer right now. Running out for a simple ranch packet is easy enough to get dinner finished. So glad I found this! 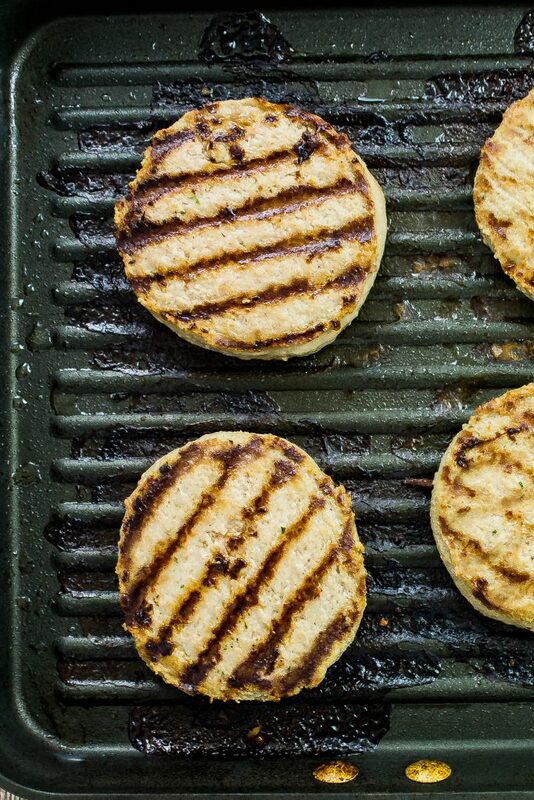 July 12, 2017 at 3:43 pm I love turkey burgers! This looks like a delicious way to mix things up, and I just so happen to have a box of packets in my pantry! Thanks! July 13, 2017 at 10:12 am Oh perfect!! Just grab a turkey patty and you are ready to make these :) Thanks Christine!! July 12, 2017 at 3:51 pm Yum! I love this combination of flavors! July 12, 2017 at 8:58 pm Yum! I love ranch on anything so this sounds amazing! July 13, 2017 at 10:12 am It's delicious Helen :)!! 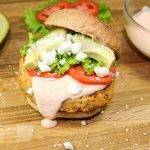 July 12, 2017 at 9:03 pm I will have to try these turkey burgers. I love a ranch burger so I will have to try this with the turkey burger. July 13, 2017 at 10:11 am Ranch is SO good and using a turkey patty makes the burger just a tad healthier :) Thanks Jenn!! July 12, 2017 at 9:42 pm I need some new burger ideas and this looks amazing! Pinning for later! July 13, 2017 at 10:10 am Thank you for pinning Leah!! July 12, 2017 at 9:47 pm Yum! These looks amazing!!! July 13, 2017 at 10:10 am It's really a delicious burger :) Thanks Anna! July 23, 2017 at 9:51 pm All the ranch!!! And turkey burgers are my favorite so win, win! July 25, 2017 at 8:33 pm Oh these look fabulous. I love that you used the ranch flavor packet as it reminds me that I could totally make these dairy free by subbing the yogurt with a dairy-free yogurt. Yum!